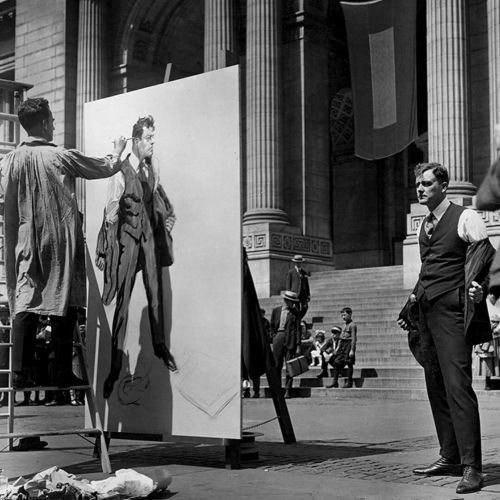 "James Montgomery Flagg repainted his Marine poster, "Tell That to the Marines," with his original model in front of the @nypl in 1918. Sometimes art imitates life, sometimes life imitates art. But something special happens when art imitates art imitating life. This #nytweekender, we're sharing a series of photos from the @nytimes #archives that show artists with their muses." By nytimes on Instagram.